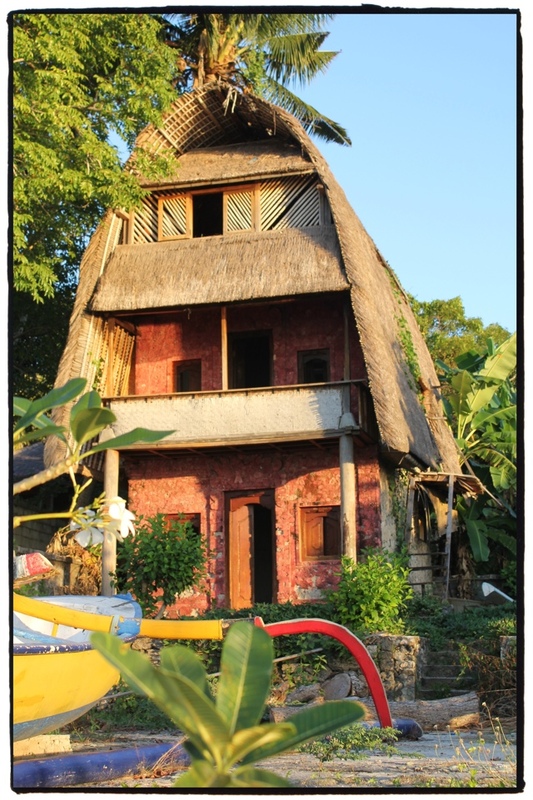 On one of the last undeveloped beachside blocks on Lembongan, is this old Bali Lumbung. Based on the design of old rice barns, the llang a llang roof is made of thatching from special grasses. Unfortunately they are slowly disappearing from the island. This is a beautiful picture. Makes me want to go to Bali. Interesting fact about the roof – I didn’t know that. Next time you go to Bali, take the ferry to Lembongan. It’s a different world. Behind the beach is a beautiful local village and not far from here, the seaweed farmers have their plots for farming. I hope you get there one day as it is a fun place to visit.We are very spoilt as it is only a 3.5 hour flight from Perth so it’s an easy trip.